Want to get a clear face? Well, Baking soda shows wonders as a face scrub helping you smiling with confidence. 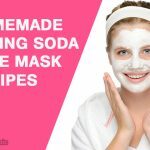 Baking soda is one of the best physical exfoliates, which removes the dead skin cells from the top layer of your skin and thus you can get a healthy and glowing face. 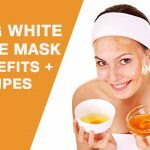 How to Use Baking Soda Face Scrub? Cleanse and dry you face completely and apply a layer of mask evenly on your face. Leave the mask for 15-20 minutes and later rinse with warm water. Finally, use cold water, which loosens the pores of your skin and thus cleaning becomes easier. Both the ingredients are natural making it beneficial for your skin. Helps remove impurities leaving your skin healthy and smooth. Don’t leave it for a long time. You can use the scrub while bathing. How Often and Who Can Use? You can repeat the treatment twice in a week. This scrub can be used for skin types from natural to dry. And then rinse it off with warm water seeing the results in real time. Olive oil works as a nice moisturizer, which makes your skin smoother bringing in a clear glow. A combination of these two ingredients help remove dead skin and helps your skin glow. It is gentle and safer. Precautions: Make sure you are using baking soda only. Avoid baking powder or washing powder. You can use this paste on your face in morning and after a bath. Follow the treatment for 1-2 weeks to see best results. People with oily skin are advised to use this frequently. 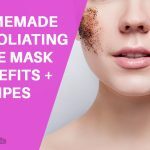 You can prepare this simplest face scrub easily at home. Take some honey and baking soda in your palm or in a container and then mix it well until honey gets warmed up. Rub the paste especially around the lips and nose. You feel refreshed and your skin becomes free from dry and dead cells. Honey has natural anti-bacterial properties and hence is great for acne prevention and breakout. 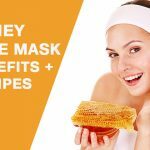 Honey also helps in delaying aging process and boost your complexion naturally. Precautions: Make sure your skin won’t get irritated while using the paste. You can repeat the treatment thrice in a week. For skin types ranging from normal to dry. Mix both the ingredients until you get a pale yellow paste. Now, apply the scrub on your face and neck, around the nose and around your T-zone. Your skin may tingle a bit since the baking soda reacts with lemon and it slightly fizzes. Both these kitchen ingredients have anti-septic and anti-inflammatory properties which can help treat acne and breakouts. Lemon also helps brightens the skin and acts as a natural bleach. Precautions: If you feel excessive burning sensation immediately wash it off with cold water. It’s good to use the natural face scrub while bathing or after you come home from outside. You can continue the treatment until you get results. It suits great for individuals with natural skin type. Simply mix coffee powder, baking soda, and lemon juice to see the magic on your skin. Once, you make the thick paste apply it on your face gently moving it in a circular motion. You can leave the scrub for 10 minutes and it leaves a soothing touch giving it that dreamy look. 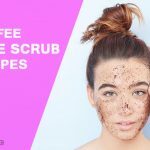 Coffee and Baking Soda both have exfoliating properties which will help the dry skin to melt away giving a smoother and refreshing skin. You can apply the paste before bathing. You can use it regularly if it suits you. Useful mostly in cases of dry skin. Epsom salt with baking soda is a great remedy for acne. Take both Epsom salt and baking soda in equal amount and mix it well with some lemon juice. Apply the paste gently on your face and rub it for 5- 10 minutes. Pat dry face with a hot towel. Epsom Salt is known to having healing benefits. It eases stress, flushes toxins, reduces pain and inflammation, prevents blood clots and many more. It also helps soften the skin and removes any dead cells. Precautions: Make sure you take the quantities carefully avoiding any unnecessary tingling. The face scrub can be used at evening or before going to bed. You can use it regularly without any worries. This scrub suits all skin types. Take 1 tablespoon of baking soda with 2 tablespoons of milk and mix it until it forms a thick paste. Now, apply it on your face gently and leave it for a few minutes. Wash it off with warm water and pat face dry. Probably one of the simplest, quickest and easiest way of preparing your face scrub is this. The lactic acid present in the milk helps to reduce pigmentation, hydrates your skin and also helps to relieve sunburn. Precaution: Ensure that the baking soda won’t irritate your skin and if it happens, wash your face with cold water. It’s a natural face scrub and you can use it anytime except before you are going out. Following this treatment for 1-2 weeks, you can see the results in real time. Anybody from normal to dry skin can use this scrub. Take some baking soda and few drops of olive oil on your face. Now, lightly massage your face with the paste using your fingertip that forms a loose one. Next, use warm water to rinse your face and then clean it with a soft cloth avoiding any friction. This scrub is neither too drying nor too greasy making it appealing to your face. Olive oil has anti aging oxidants making to a great kitchen item for your face and even hair and nails. Precaution: It’s good to stay away from the eye area since it’s the most sensitive part of your face. You can use it before bath. You can do the treatment thrice in a week followed by twice in a week. This scrub can be used on any skin type. Take oatmeal and baking soda in equal proportions and add some warm water leaving it for 5 minutes. It forms a soft paste, which is a perfect natural scrub, you can have. Message your face with the paste in a circular motion and it’s obvious to avoid the eye area. Next, take some lukewarm water to wash off your face and then use cold water to loosen the skin pores. Oatmeal helps the skin to retain moisture. When used with baking soda, this scrub will make your face glow and giving a fresh face appearance. Precaution: Avoid the under eye area since it may damage your eye. You can use it while bathing or before going to bed. It’s fine to repeat the treatment thrice in a week. People with dry skin will benefit more with this scrub. Essential oils helps the skin to stay hydrated. It helps improve sleep and also is used extensively in spa for relaxation. It also makes a great lip balm and body lotion. Essential oils helps reduce cellulite, reduces wrinkles and age spots. Precaution: Avoid applying it on any sensitive parts of your skin. It’s good to use the scrub at night to feel the soothing effects of lavender oil. Tailor the scrub according to your skin type and wait for the results to show up. Finally, you can stand apart from the crowd with a glamorous face making your dreams come true.